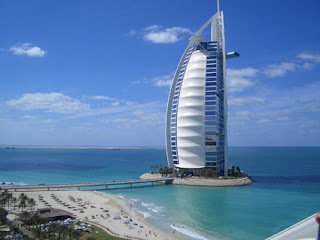 Eight million tourists booked flights to Dubai in 2011. This Emirate is definitely on the up. Glass skyscrapers shimmer like oases in the sun; the coast is a heavenly mix of golden beaches, swaying palms and water that’s as clear as that found in a swimming pool. The city may be a little contrived, built out of, well nothing - a vast open, dry desert, but it has been transformed into an adults playground. Do we need to give you any more reasons to fly to Dubai? Here are a few more just for good measure. You can fly to Dubai from the UK with Dial A Flight for just over £300, return. There are few other destinations at this price where you can take off in the middle of winter and land in year-round summer. Plus it’s a quick and easy flight. It takes just seven hours to fly to Dubai and a whole range of airlines will take you there from several regional UK airports. In Dubai you can spend your morning lazing on the beach, your afternoon shopping in a traditional Middle Eastern bazaar and go skiing on real snow in the evening. Where else in the world can you do that all in one day? Ski Dubai is a huge indoor ski slope complete with real snow and the first indoor chair lift. However, it’s not as huge as the shopping mall that houses it. Mall of the Emirates is one of the largest malls in the world. It boasts 520 international brands and aside from the ski slope it has two hotels, a community theatre, arts centre, 14-screen multiplex cinema and 85 coffee shops and restaurants. There are 48 five-star luxury hotels in Dubai. The Armani Hotel in Dubai is the first from the luxury fashion designer Giogio Armani, and as you can expect it is stylish, sleek and opulent. The Banyan Tree hotel group boasts some of the best hotels in the world and its Al Wadi Resort and Spa is the cream of the crop. It lays claim to 3,960 square metres of Asian-inspired hydrotherapy spa facilities and it’s the first desert resort hotel to offer an all-pool villa concept. This desert oasis also has an 18-hole championship golf course and a 60-hectare nature reserve.